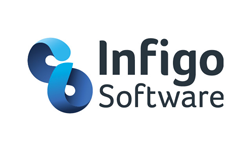 Infigo Software creates easy-to-use & integrate web-to-print e-commerce software solutions for businesses in a vast array of industries, from printing and packaging to retail, property, public services and creative agencies. Our client list includes start-ups and established global brands, so we can design a solution that is right for virtually any businesses and designed to scale as they grow. Our aim is to strengthen our clients’ businesses by delivering beautiful, tailored storefronts, improving web-to-print workflow efficiency, enabling new revenue opportunities, and delivering competitive advantage. Our solutions enable new levels of brand engagement through the personalisation and mass customisation that our flagship web-to-print Catfish and MegaEdit Pro software packages offer. With the recent integration of the innovative Enfocus PitStop software, our customers now have access to this powerful tool to streamline and improve their artwork management, saving time and improving accuracy in any output that requires PDF. The OEM partnership with Enfocus means that Infigo Catfish customers can license the Enfocus preflight and correction functionality as a cost-effective add-on option in Catfish that Infigo will support as part of an end to end solution. Plus, with the acquisition of digital marketing company, Netkandi Limited, in 2016, we now offer a suite of digital marketing services to ensure the success of our clients’ products and services. We offer a complete web-to-print e-commerce solution that seamlessly integrates into existing CRM, MIS and CMS systems. With our software & marketing services, we are excellently positioned to help ensure our clients maximise ROI and growth in their sector.